Cheap Sticky Hands - 12 Ct.
Superhero Bounce Balls - 12 Ct. 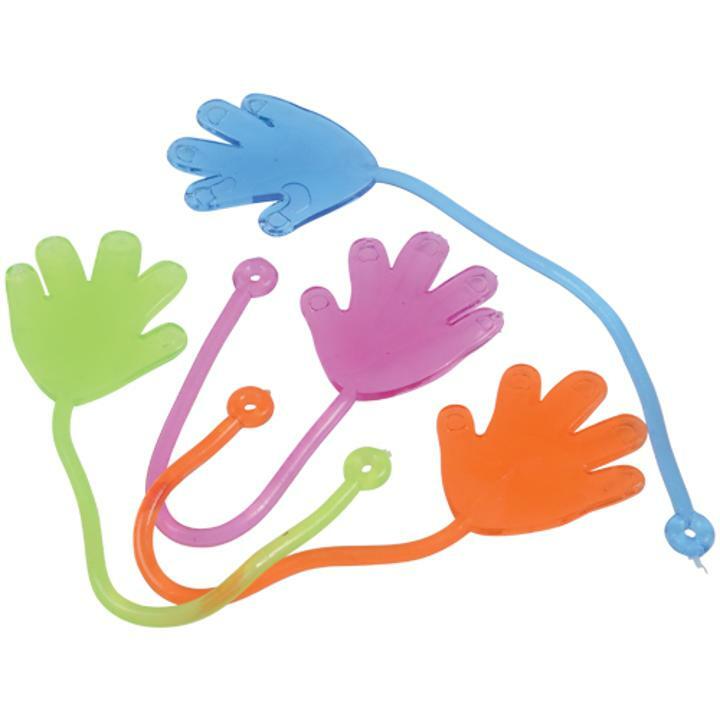 The original sticky hand toy more popular thane ver. These stretchy and sticky toys are a favorite party favor. So fill party favor loot bags at your next birthday or other celebration. Guests will love this classic toy . Stock up on all your Halloween party supply needs with US Toy. Hand out a toy instead of candy this Halloween to trick or treaters! We have a wide selection of Halloween novelty toys and party favors to make your party a spooktacular night! L: 4.95 in. W: 4.8 in. H: 1.65 in.